Melba was born on the 19th of May, 1861 in Australia. She was an operatic Soprano, who became one of the most famous singers of the Late Victoria era at the turn of the 20th century. She was the first Australian to achieve international recognition as a classical musician. She made numerous records of her voice in England and America between 1904 and 1926 for The Gramophone Company and The Victor recording Company. Initially she was suspicious of the recording industry. When she did finally agree to a recording session she insisted that no record could be released unless she was completely happy wit it. The poor audio fidelity of the Melba recordings reflects the limitations of the early days of commercial sound recording, however these recordings reveal her seamlessly pure soprano voice with effortless coloratura, a smooth legato and perfect pitch. Melba’s exceptional purity of tone was probably one of the principal reasons why British audiences, with their strong choral and sacred music traditions, idolised her. 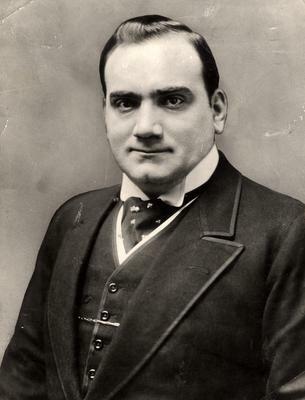 Enrico Caruso was an Italian Tenor. He was one of the recording industries first real celebrities. He sang in all the major opera houses of Europe and the Americas, appearing in a wide variety of roles from the Italian and French repertoires . He made approximately 290 commercially released recordings from 1902 to 1920. His 1904 recording of “Vesti la giubba” from Leoncavallo’s opera Pagliacci was the first sound recording to sell a million copies. Caruso had a powerful voice which made him ideal for the acoustical recording process. He was one of the first major classical vocalists to make numerous recordings. He and the the relatively new invention – the gramophone, did a lot to promote each other in the first two decades of the 20th century. Caruso’s first recordings were arranged by recording pioneer Fred Gaisberg and cut on disc in three separate sessions in Milan during April, November and December 1902. They were made with piano accompaniments for The Gramophone & Typewriter Company. 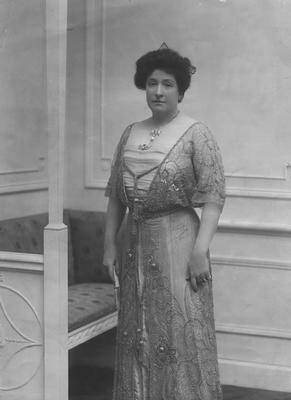 Introducing Lusia tetrazzini, born in 1871, she was an Italian soprano who achieved great international Fame. Her voice was remarkable for its extraordinary flexibility, steadiness and exhilarating tone. 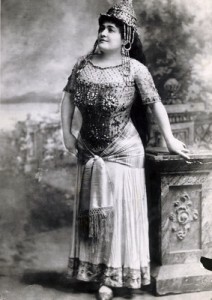 She enjoyed a highly successful operatic and concert career in Europe and America from the 1890s through to the 1920s. Her vivacious, larger than life personality came through on the many records which she made. She recorded extensively for Victor and His Master’s Voice records and these recording continue to show off her sheer joy, flawless technique and outstanding ornamentation. In her later years her third husband spent a lot of the considerable wealth she had built up over her career, forcing her to continue to give concerts long after her voice had gone. Her last years were marred by financial difficulty and the decline of her health. However, she remained cheerful and lovable, saying “I am old, I am fat, but I am still Tetrazzini.” In 1932, when she was retiring, she was filmed listening to a recording of Caruso’s rendition of “M’appari, Tutt’Amor,” and began to sing along with the record showing that her voice still had plenty of power. 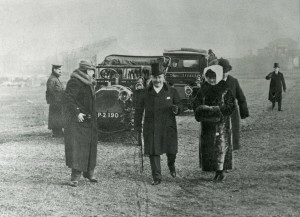 Tetrazzini died in Milan on April 28, 1940. Edward Lloyd was born in London on the 7th of March 1845. He was raised in m musical family and his powerful tenor vocal soon earned him great success in Opera houses across Europe. Between 1904 and 1911 he recorded several pieces for the Gramophone Company and became one of their top selling artists of the time. 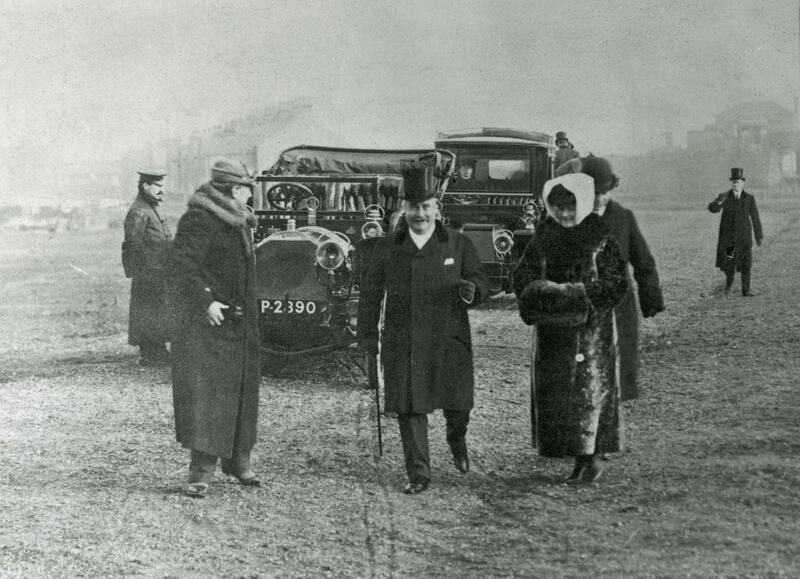 When the Gramophone Company was expanding the executives invited their top artist of the time – Edward Lloyd the honour of cutting the sod of the new factory in Hayes.